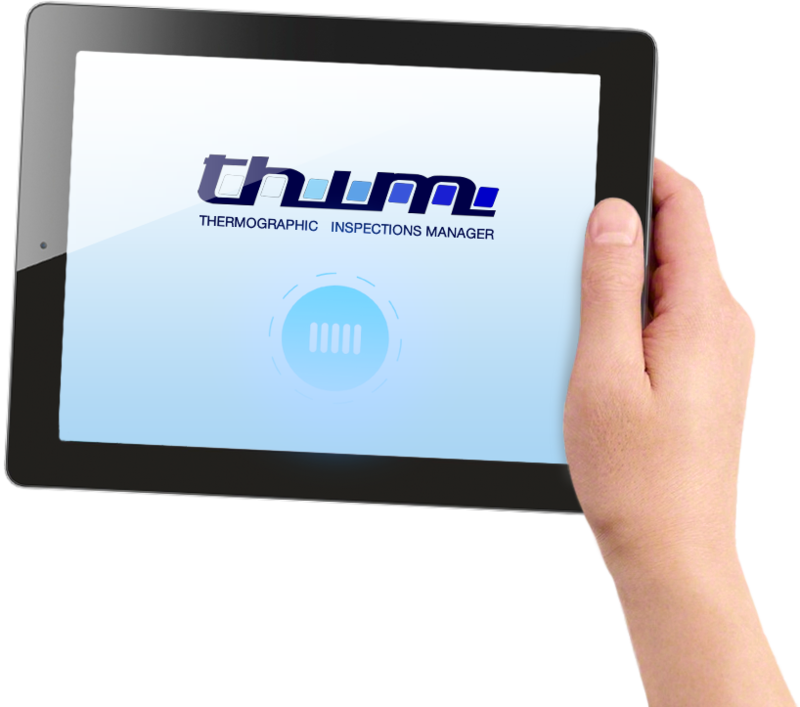 Th-IM is a software platform for the management of thermographic inspections that is intended for companies and consultants who perform programmed analyses by employing teams of surveyors. The application has been developed in order to allow the analysis and the logical storage of inspections and it is accessible from different workstations. Moreover it implements an easy management of the validation processes of both the carried out inspections and the required corrective actions. 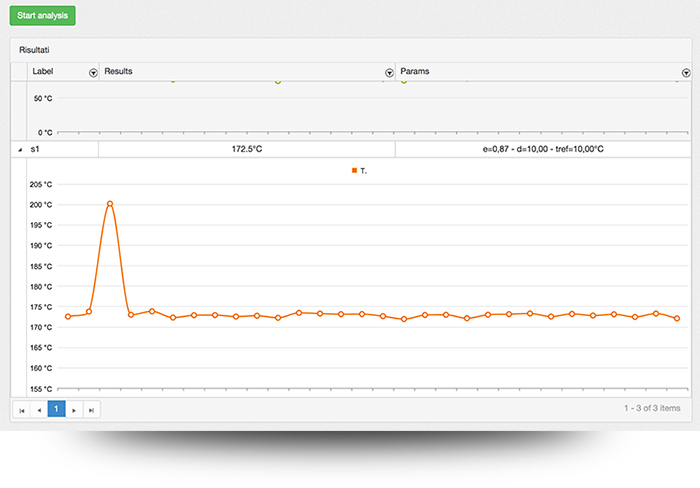 for the analyses it is possible to get, in addition to individual files or files packages, the non-radiometric video and the graphs, in image format or compatible with Microsoft Excel, of the results acquired through the measurement instruments. The application can be managed directly by the end customer (e.g.”Customer X” manages the inspections on its own) or by a third party company that shares the system with the end customer (“Inspections company Y” customizes the instance of the software for Customer X). In any case, the standard reports (customizable on request) will show logos and information both of the customer and of the software manager (if different). 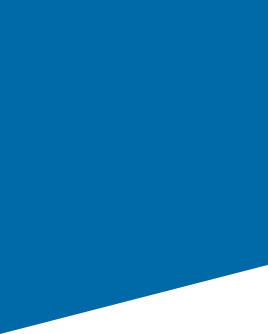 Th-IM is provided as an online application that can be used through internet. Optionally, it is possible to request the installation of a server at the user’s office. The online service is available in two configurations, SMALL and STANDARD, which differ in the space of the servers and in their performance. The whole platform is built around the “ITEMS” (subjects of the inspections); each ITEM is inserted in a different business context (department, plant, etc..) and sometimes more than one shoot can be required for a complete documentation (“PARTS” of the ITEM). Then, for example, for an electric check the ITEM will be the panel “P1” with 4 components within it and will be part of the “Production” department of “Rome” plant. ITEMS are arranged in the inspections plans that are assigned to individual operators, while the collected data is stored within the database and automatically made available for the specialized technicians for their analysis and validation. 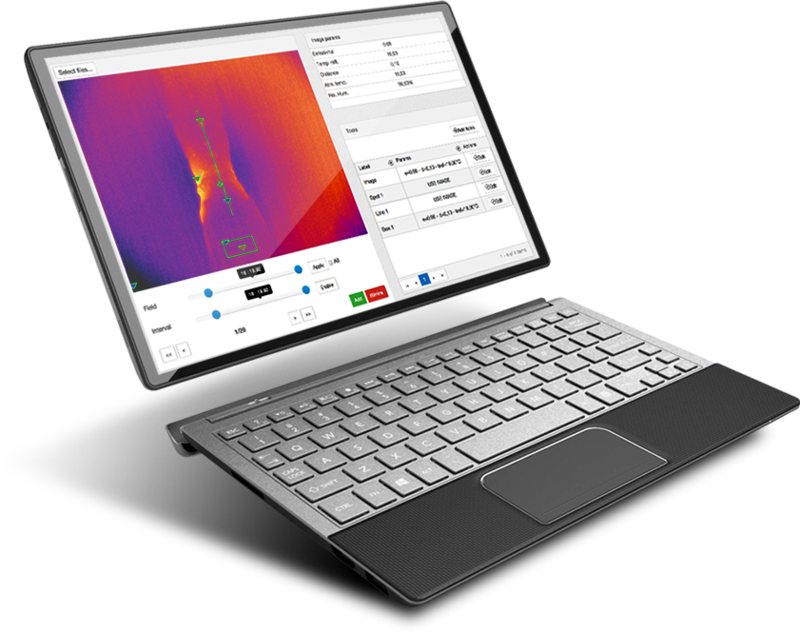 The software provides also for the intervention of external consultants, who can interact only with the assigned positions and the thermographs. Moreover the system, through a specific section, allows to choose and customize the alarm criteria to be adopted. Optionally, it is possible to get the INTERVENTIONS Module for the management of repair activities and related checks. 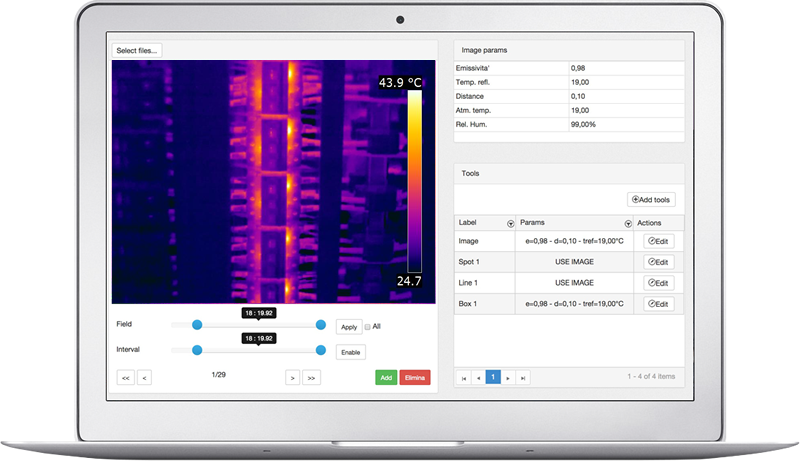 The analysis and the validation are carried out directly within the software, which implements a specific module for the radiometric analysis both of the thermograms related to the programmed inspections and of individual files imported by the user. 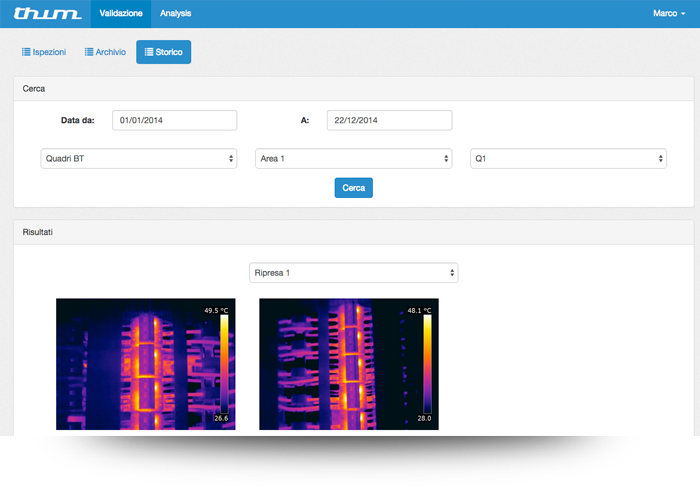 This module also allows to perform, in sequence, the analysis of thermograms packages and, in this case too, it is possible to do the analysis with a registered component or with a package of imported thermographs. The history search module allows to rapidly check the inspections and the status of an ITEM over the time.